Sadler’s Wells is a world leader in contemporary dance presenting a vibrant year-round programme of dance of every kind – from tango to hip hop, ballet to flamenco, Bollywood to cutting-edge contemporary dance – bringing the best of international and British dance to audiences at our three theatres in London. Lil’Tim was involved with attending summer camps for under-privileged teenagers, where he taught Break’in. This then progressed to a full performance by the teenagers on the course at Sadlers Wells Theatre. He has performed with a number of well know dancers at the Break’in Convention including, Dance to Excess, Cisco, Avant Guard and Tommy Franzen. He did a piece called Bones with the dancer Robert Hilton. Taster workshops were also undertaken anyone wishing to take part. Lil’Tim was involved with performances from Jonzi D productions, where he did Theatre Shows including TAG and Workshops. 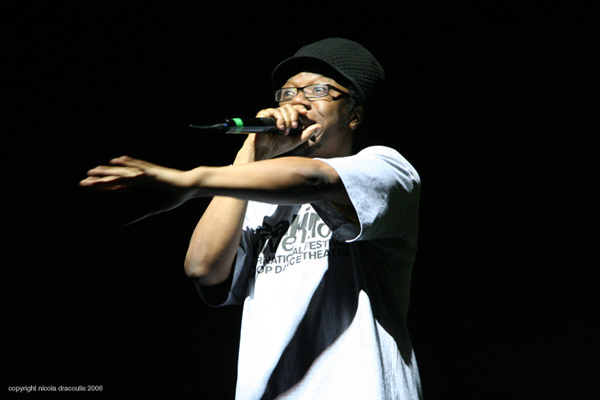 Jonzi D was the first person to bring Hip Hop Theatre to the UK. Breakin’ Convention is an international hip-hop theatre festival based in London, England that was founded in 2004 and is produced annually by Sadler’s Wells Theatre. It has been under the artistic direction of playwright and dancer Jonzi D since its inception. Since May 2008 Breakin’ Convention has expanded its activity beyond the three day festival to include tours across the UK. There are also plans to create Breakin’ Convention “Hubs” to develop and commission work with local hip-hop artists, and to produced year-round professional development courses for UK based hip-hop choreographers, artists, and dance/theatre companies.